Chris Wojcik ’96 has returned Harvard to the national stage in his seven years as the Frisbie Family Head Coach for Harvard Men’s Lacrosse. During his seven seasons at the helm of the Crimson, Wojcik has directed Harvard to a 53-51 overall record, including a pair of 10-win campaigns and 15 wins against ranked opponents. Five individuals have collected a total of eight USILA All-America accoloades, while 35 have been named All-Ivy League. Joe Nardella was announced as an assistant coach for Harvard men's lacrosse on Sept. 14, 2015 and completed his second season on head coach Chris Wojcik's '96 staff in 2017. In Nardella's first season on the sideline Harvard reached the title game of the Ivy League Tournament after knocking off top-seeded and second-ranked Brown in the semifinal, 13-12. 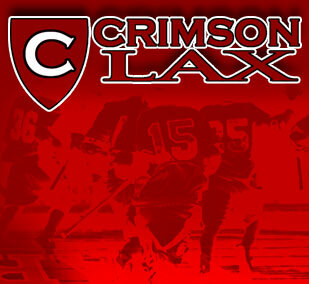 That victory was one of three for the Crimson over a nationally ranked opponent, with Harvard also defeating then No. 4 Duke, 14-9, and then No. 20 Villanova, 13-12. The win over the Wildcats came in the season opener in overtime as the Crimson became just the second team in NCAA history to win three-consecutive games in overtime. At the conclusion of the year Bobby Duvnjak (third team), Devin Dwyer (third team), and Joe Lang (honorable mention) were named to the USILA All-America teams, with a total of six individuals garnering All-Ivy League honors. One of the top faceoff specialists in the nation, Nardella was drafted as a midfielder by the Boston Cannons in the fifth round, 36th overall, of the 2015 Major League Lacrosse Draft. He played in 18 games over his first two seasons and starts on the 2017 squad. Stephen Toomy begins his first season as a member of the Harvard men's lacrosse staff in 2017-18. Coming from crosstown rival Boston University, Toomy served as the defensive coordinator for the past two seasons. Toomy led one of the best defenses in the country last season, giving up only 8.88 goals per game and ranking No. 15 in the country. Prior to BU, Toomy was the defensive coordinator and goalie coach at Colgate, helping the Raiders win the 2015 Patriot League Championship and earn an automatic bid to the NCAA Tournament. Prior to Colgate, Toomy was the director of men’s lacrosse operations at the University of North Carolina for two years. In this role, he edited and distributed practice/game film as well as preparing opponent film for the coaches and players. He was a part of a coaching staff that won the 2013 ACC championship and made the NCAA tournament both years. Al Lattell begins his first season as the men's lacrosse operations coordinator in 2017-18. Lattell joins the staff from Boston University, where he served in the same role from 2016-17. At BU, he oversaw day-to-day operations of the men’s and women’s lacrosse programs, coordinating travel, overseeing student managers and handling alumni relations. Lattell has been involved with the Terriers since he entered the university as a freshman in 2004. After playing four seasons with the club team, including captaining the squad in 2007 and 2008, he graduated in 2008 with a bachelor's degree in political science. Lattell stayed with the Terriers as an assistant coach for four seasons, including the first two years at the Division I level. In addition to his job with BU club lacrosse, Lattell worked as the director of operations at a law office in Needham, Massachusetts. He has served on the board of directors for the annual Cradle for a Cause charity lacrosse tournament. Lattell earned his master’s degree in education from UMass Boston in 2012.